The University of Omaha was founded in 1908 and had no library until 1912 when university president Daniel Jenkins responded to student requests to found one. 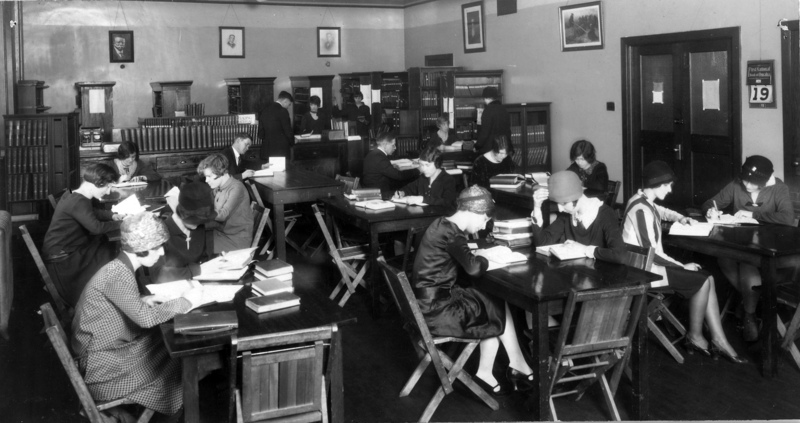 By 1928, a collection of 5,000 volumes was held in Joslyn Hall, located at 24th & Pratt. The Gateway covered this milestone and hoped, "the library will be made a place where one can really study, and not a place to get together and play." At this time, the university hired its first, full-time librarian, Inez Loretta Chestnut. In 1931, the library was moved to a temporary structure—two drafty wooden annexes located west of Joslyn Hall. All winter long the wind has whipped through the cracks in the frame structure, making it impossible to keep the building warm...Miss Inez Chestnut, librarian, said at times during the past winter the thermometer...threatened to drop below freezing. A 35-degree...reading was appallingly frequent. Things improved in 1938, when the Municipal University of Omaha moved to its current location at 60th & Dodge Streets. The library collection then numbered over 50,000 volumes and was housed in the northeast wing of what is now Arts & Sciences Hall. 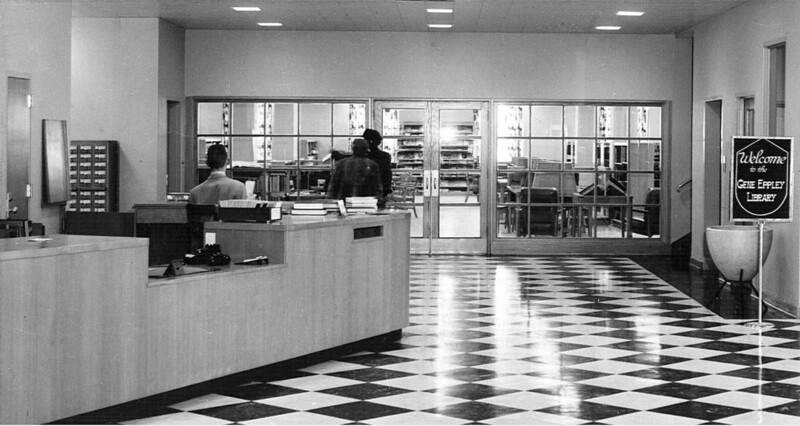 Closed stacks meant that all books were retrieved by "pages" after being located in the card catalog. Within 10 years, students again requested better library service. Head Librarian Ellen Lord argued for a new structure with open stacks, more shelving and more room for student seating. Construction began later that year, and groundbreaking festivities were held in June, 1954 and construction was completed late the following year. Although the university had budgeted funds, philanthropist Eugene C. Eppley agreed to donate the entire $850,000. The building was named in his honor and remains so today as the university's administration building. 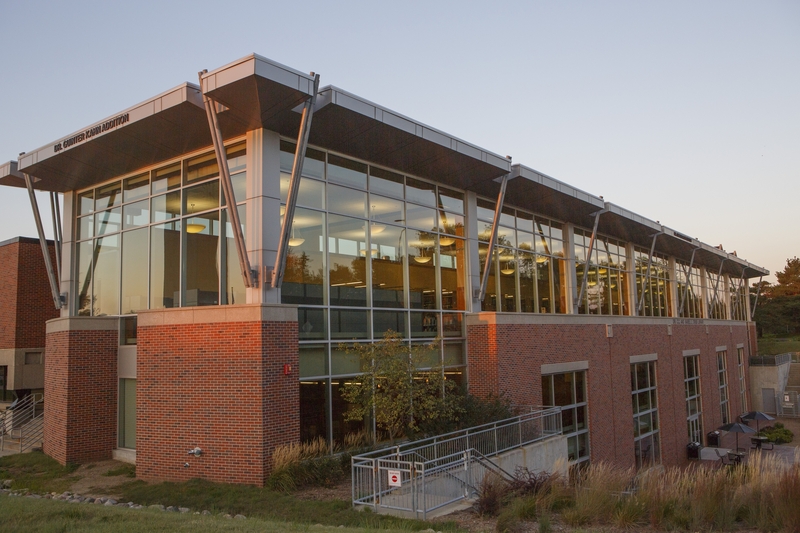 The 45,000 square foot library building would serve the university and community for the next twenty years. The integration into the University of Nebraska system in 1968 advanced the mission of UNO and again created demand for an improved facility. Construction began in the fall of 1974 on a new 148,000 square foot building. The $3.5 million dollar contract was issued to Lueder Construction Company with a projected completion date in spring 1976. The building site anchored the western edge of the UN0 campus and would assume a more central location as campus expansion continued. The earth-sheltered, highly energy efficient design in the "brutalist" style was a response to the OPEC oil embargo. In fact, energy use did decrease while book stacks and seating space increased. Bright orange carpeting, "space age" furniture, typewriter rooms, and a fountain courtyard were prominent features. The principle research tools were the card catalog, the print index, books and paper journals. 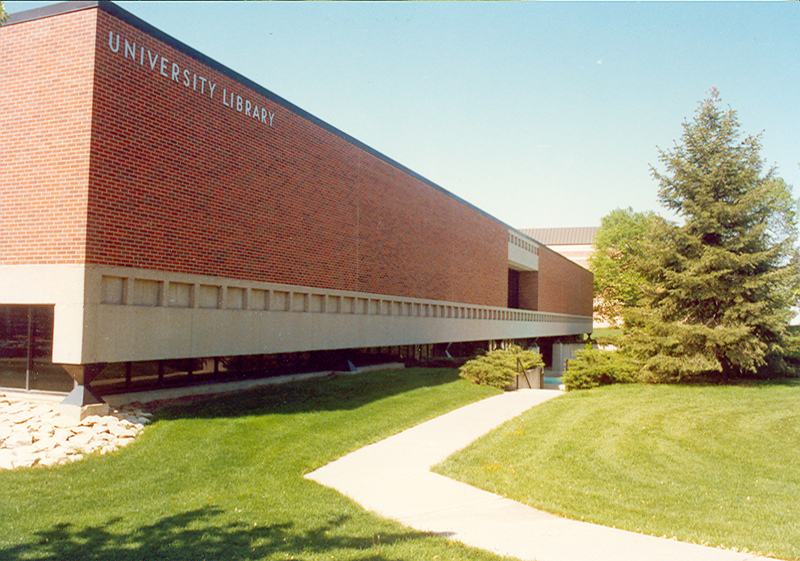 The "information revolution" came to the library during the 1980's, and UNO's first online catalog debuted in 1990. The shift to the computer catalog was dramatic. Circulation nearly doubled because students were able to find many more books, more easily. Computer use within the library has grown by leaps and bounds. Originally planned to hold 431,000 volumes and to provide 2,500 seats, designers believed that the 1976 building would provide ample capacity to support "the learners of 2006." Growth in enrollment and programs, however, led to a collection of 746,000 bound volumes by 2000 and space was once again at a premium. Planning for the current library addition started more than ten years ago. A final program statement was issued in 2003 and a lengthy approval process led to groundbreaking in June, 2005. The newly dedicated Dr. C.C. 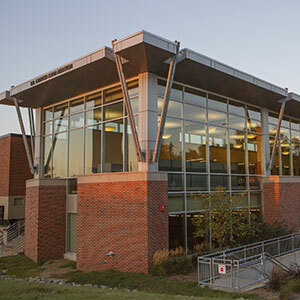 and Mabel L. Criss library and Dr. Guinter Kahn addition is now ready for the students of 2006 and beyond.